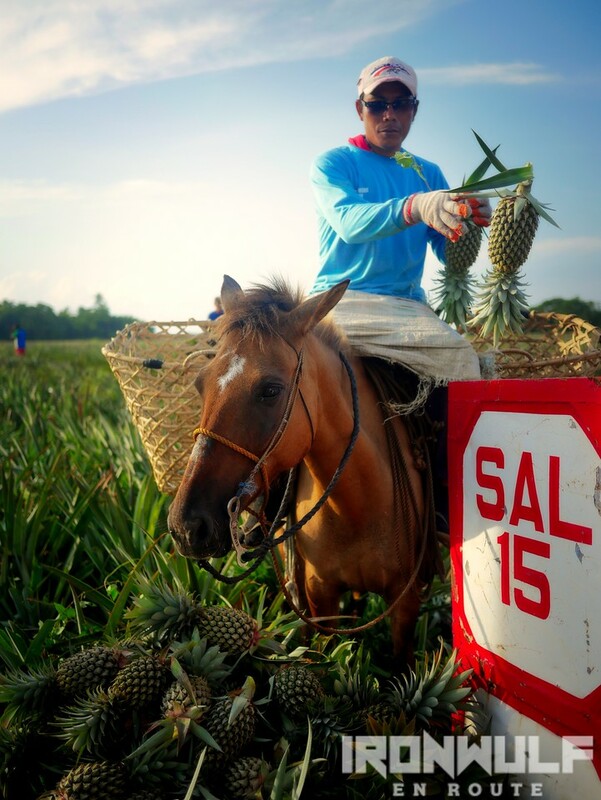 Driving along the meandering Anilao River, we visited the pineapple plantation at Biliboy, Linao, Ormoc. 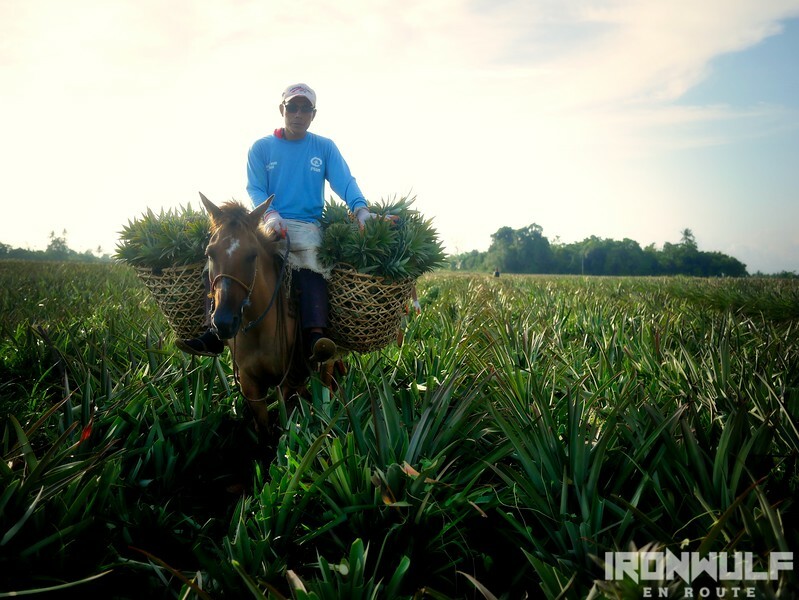 It was early morning when the shadows were long and the plantation landscape has picturesque patterns of lines from the rows of pineapple. The “Queen Pineapple” variety are the dwarf pineapples, rough and thorny, yet sweet and succulent on the inside. Best eaten fresh as it is not ideal canned. They are also more resistant to farm plant disease than other varieties. 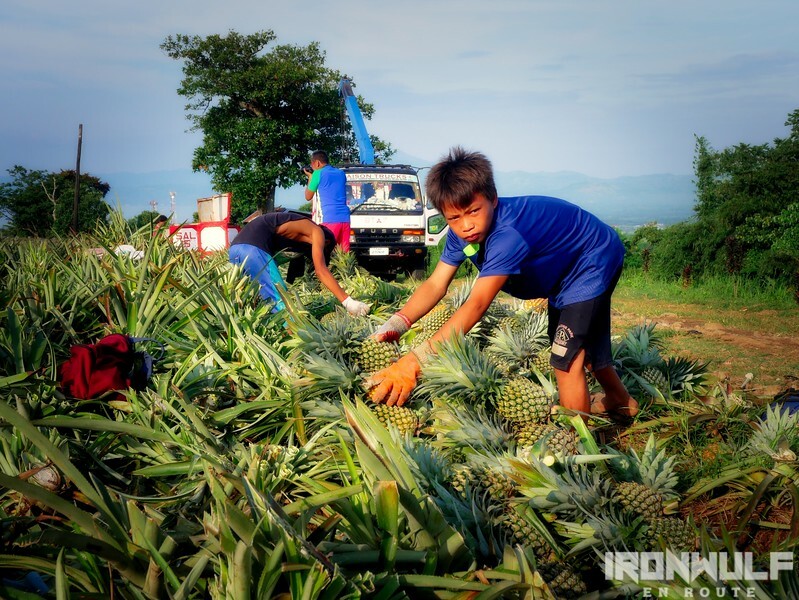 I’ve been to some farms but it’s the first time for me to actually observe how farmers harvest these pineapples. It’s already challenging to move around these small thorny paths but these guys make it looks easy. Or years of experience, aptly suited with gloves and sharpened blades, they seamlessly run through a dance of slashing, picking and throwing to their horse-riding companions. 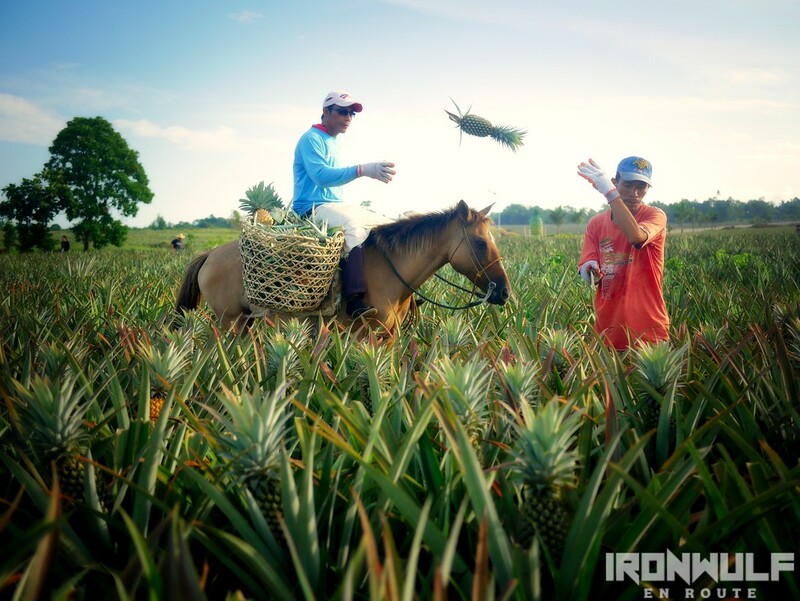 When a row is done, the basket full pineapple are transferred to a metal container. It would be interesting to see where it goes from here as well. How they end up to our tables or made into products like tarts, dried fruit chips and more. 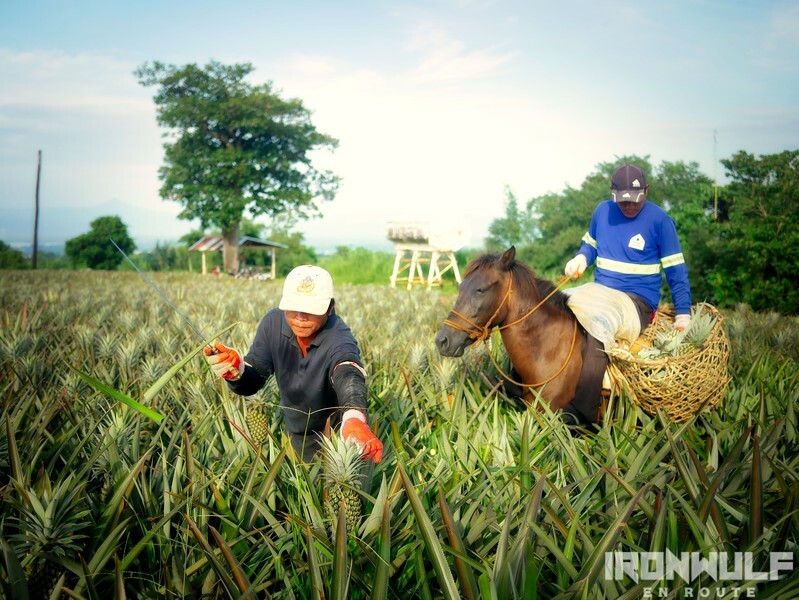 Ormoc produces about 100 tons of pineapple a year. Enough to supply only Eastern Visayas and nearby Cebu. Ormoc prides itself as having the sweetest pineapple in the country and I can personally say they are sweet. 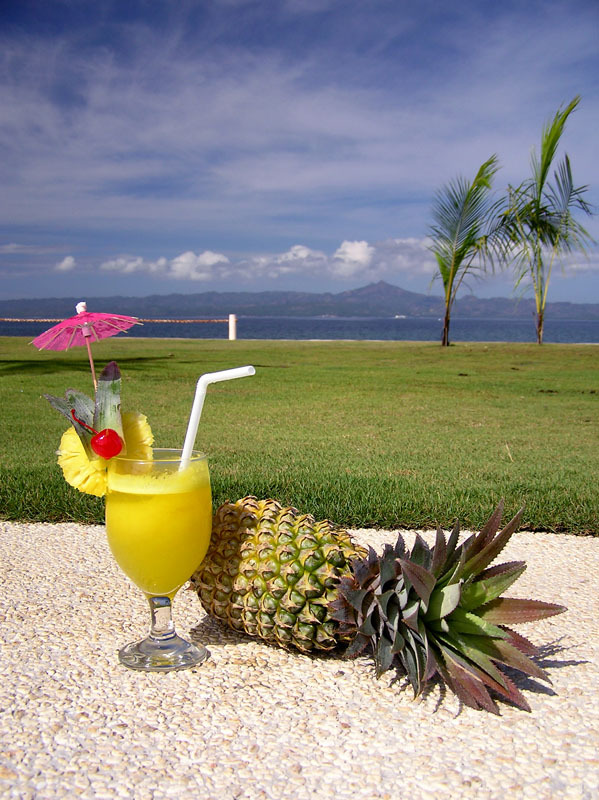 So make sure to have a taste of Ormoc’s Queen Pineapple when in Eastern Visayas. 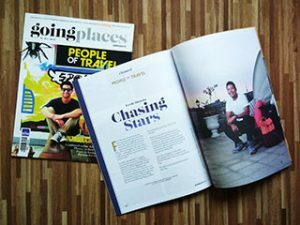 Or for a full festive experience, drop by during their Piña Festival every June 24.